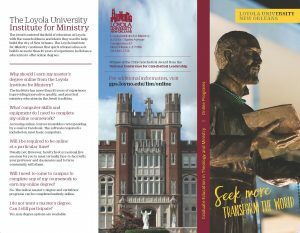 Pursue a Loyola Master’s Degree in Theology or Ministry at St. Matthew Church, Charlotte, NC starting Fall 2019. Attend an Open House at St. Matthew on April 2 at 7 pm or on May 6 at 11 am; RSVP here. 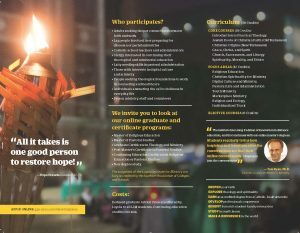 For more information, visit this link or this one.